One of a number of facilities designed to provide a standard for regional office development throughout the U.S., Chicago Regional Headquarters is one of some 75 projects for Nissan Motor Corporation. 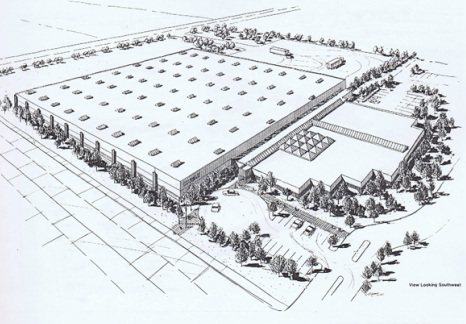 This design would provide a “Basis of Design” document for the direction of a local design firm to implement on an existing Nissan purchased site. This project was designed while Mark Hall was president and founding principal of ARCHIPLAN urban design collaborative, a multi-disciplinary consulting firm in Los Angeles, California.